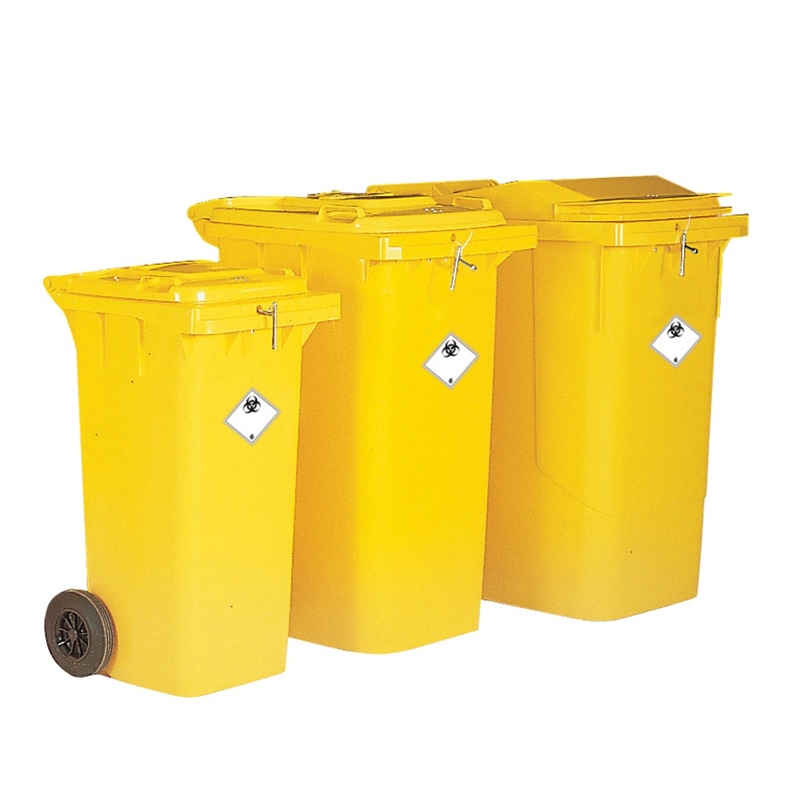 Designed to assist in the secure disposal of clinical waste. Manufactured from high-density polyethylene plastic, resistant to frost, heat and UV rays. Integrally moulded handles and close fitting hinged lid to prevent contamination and spillage. Large rubber wheels make manoeuvrability easy on uneven surfaces, slopes and steps - even when fully loaded. Durable hot foil stamped Clinical Waste sign. Automatic slam-lock with triangular key.